While the product life cycle model is a very helpful tool for helping to understand current and potential market conditions, in order to develop appropriate marketing and competitive strategies, there are some limitations and concerns with the usage of the PLC. Firstly, not all new products will be successful. That means that for many new product categories, they will never leave the introduction phase and will never experience growth or maturity. Therefore, there is a concern on overlying upon the “belief” of a new product becoming a high-growth product – which may lead to over investment in a potentially under-performing and expensive new product. Not all new products will follow the standard product life cycle curve/pattern. 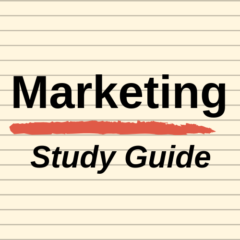 Most marketing textbooks represent the same S shape/roller coaster shape PLC curve. This creates a false sense of security about the predictability of future sales. There are multiple PLC patterns possible (as available in this academic article), so it is important to consider the possible variations of the product life cycle for its future. The turning points in the product life cycle curve are critical in understanding and in adapting to the relevant market conditions. This is very easy to do in hindsight once the whole market has been played out. However, from a forecasting perspective, it is quite difficult to determine turning points in advance. This means it is important, when utilizing the product life cycle, not to be overly reliant upon sales results as the only determining factor for the stage of the market. There are other characteristics that need to be considered, as discussed in this article. The concept of the product life cycle has been extended and utilized in different forms – some of which is quite acceptable business practice. But the essence of the product life cycle relies upon mapping the overall industry, not a particular firm or a particular product. For example, Coca-Cola should not map its Coca-Cola product only – instead it should map out all carbonated cola drinks across all players in the marketplace. Therefore it is possible, at times, that a visual presentation of the PLC may be misleading if it is limited to one firm/brand. Previous Previous post: Should we cannibalize our own products?